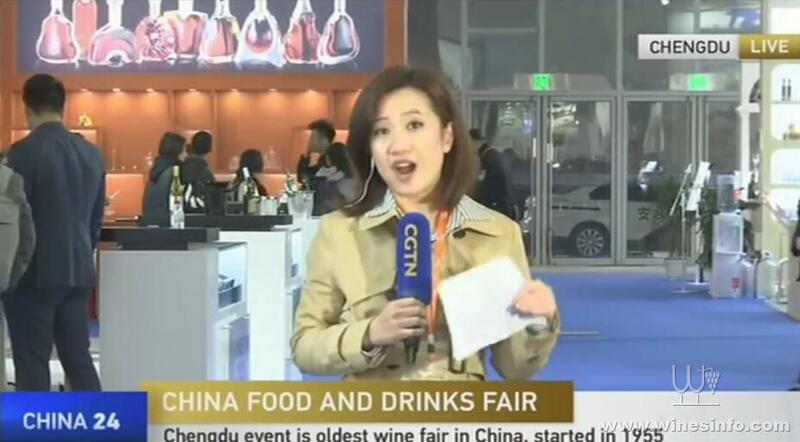 "Bring more premium products into China," that's what we heard the most when we spoke with several wine importers at the 100th China Food and Drinks Fair. In 2018, while the volume of wine imports in China saw a year-on-year drop of 8.3 percent to 688 million liters, the import value grew about 2.1 percent to 2.9 billion U.S. dollars. Augusto Bordini, general manager of Chengdu Two Lions Trading Company, observed that distributors this year are demanding higher-end Italian wines. 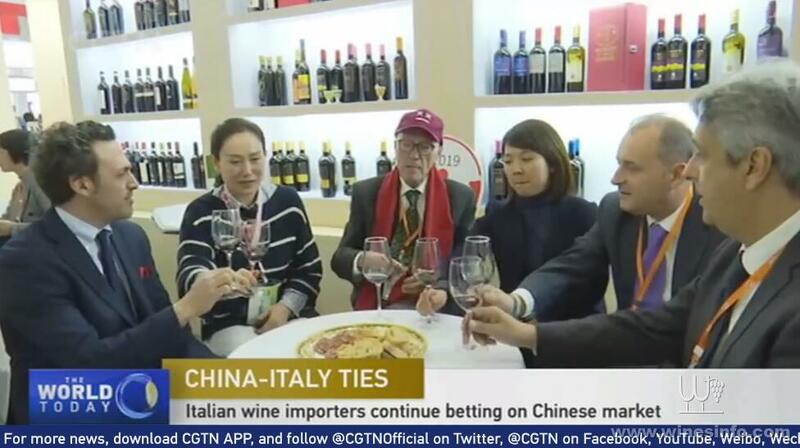 "This is unlike the previous years when they would come and ask for lower-ranged prices," Bordini, who has been distributing wines in China since 2012, told CGTN. Heartened, he believes that Italian wine exports to China are only at the beginning stage. Italy is the largest wine producer in the world. Yet, its market share in China's wine market only stands at seven percent, albeit, on a growing trend. Simone Monforte, the president of Consorzio China Promotion, which promotes wines in general and is funded by the Italian government, is confident this share would double in the next few years. "French wines have a longer tradition in China, while we have a delay in promoting our wines here. Chile and Australia have some trade agreements so it's difficult to compete on price with them. But what we can do is to understand better the Chinese market and make wines that are suitable both in taste and price," he said. "But the truth is, the imported wine market is still very small. So, we first have to increase the wine culture to get more Chinese people to drink wine, doesn't matter if it's Australian or Chilean at the beginning." Taking a broader view, China-Italy bilateral trade rose nine percent year on year to hit a record level of 54.2 billion U.S. dollars in 2018. Amedeo Scarpa, the director of the Italian Trade Agency in Beijing, is positive about future trade relations. "China is looking more not to quantity but the quality of products. And 'Made in Italy' is synonymous with quality, exclusiveness, safe products, and I think this complementary win-win friendship in terms of trade will increase in the next few years," Scarpa told CGTN. He said Chinese consumers are changing rapidly, where they like to live better and safer. And that's why, Scarpa said, traditional sectors like fashion, food and wine are growing very well. "But also innovation, healthcare, machinery, sustainable and green products - these really are the assets of Italy that are appreciated by Chinese consumers and professional trade counterparts." Meanwhile, David Castellani, the Vice-Consul Generale of the Consulate-General of Italy in Chongqing, believes the future China-Italy relationship will be great "because of the stronger commitment by both governments to strengthen the relationship."